Audioengine has a history of making affordable speakers that happen to sound like they cost much more. Their A5+ speakers look good and are solidly crafted. However, up until now, the A5+ speakers lacked any wireless capabilities. Not any more. 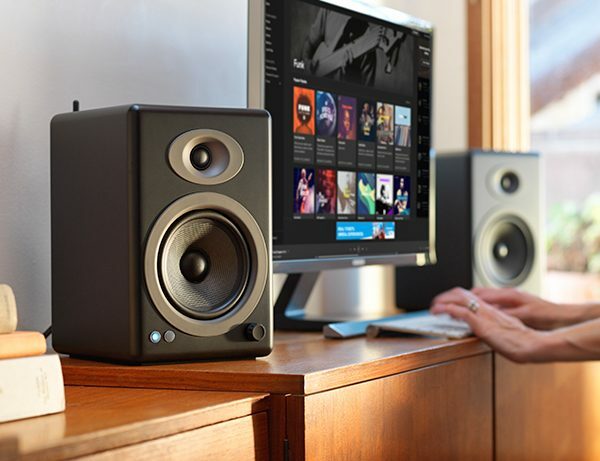 The new A5+ Wireless speakers are bookshelf speakers that can be placed anywhere in a room and fill that room with great stereo. There is no network to setup, passwords to create, buttons to push, and inputs are always ready to go. Like the original A5+, the A5+ Wireless eliminates the need for a stereo receiver or separate power amp. Setup requires no apps to download and no wifi hassles. Tidal, Spotify, Pandora, Apple music, Google Play and other streaming apps and services play instantly from your phone, tablet, and computer. The A5+ Wireless comes with upgraded aesthetics, aptX-HD, a 24-bit upsampling DAC, and has an extended wireless range. Their 150W peak power class A/B analog amps sound great compared to the cheaper digital amps found in many other mass-produced powered speakers. 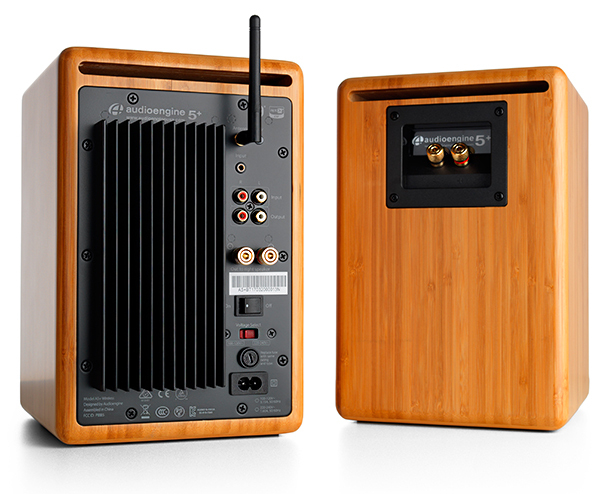 The A5+ Wireless speakers are constructed of hand-built wood cabinets complete with 5” Kevlar woofers and 3/4” silk tweeters (made by Audioengine), a 24-bit upsampled digital audio converter, front panel volume control, a subwoofer connection and included remote. Extended Bluetooth range is rated at 100 ft. 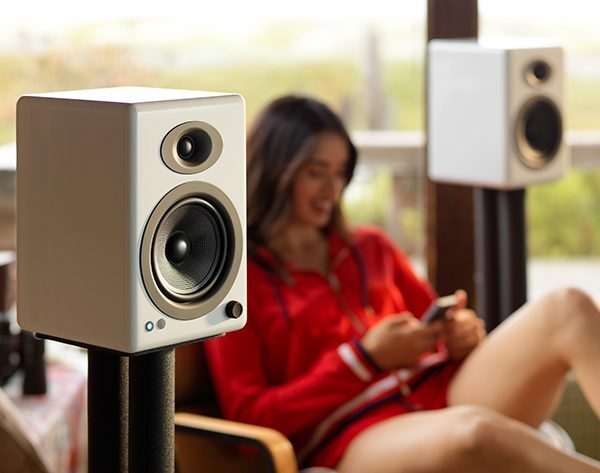 The A5+ Wireless speakers come in satin black, gloss white, and solid bamboo and are available now for $499 (black or white) and $569 (bamboo). Visit audioengineusa.com for more information.